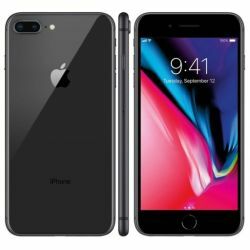 iPhone 8 does not have an unlock code, or any type of sequence. It is officially unlocked on Apple servers, which means that even after updating the system or making a factory reset the device will stay unlocked. In order to unlock an iPhone 8 you need to provide the IMEI number, which can be found by dialing *#06#, or by checking in the iPhone settings. If you don't know the network you can use iPhone 8 network finder. For blacklist check use our blacklist checker for iPhone 8. Network unlock for an iPhone 8 doesn't use a code or unlocking sequence. The device is remotely unlocked on Apple servers. If you don't have a simcard from a different network or you don't know the original network, you can use this service which helps you check your iPhone carrier and country check for iPhone 8. Video Help film shows what you should do, to enter an unlock code to 8.